But our list doesn't stop there! Winter is a great time to schedule boat detailing, pontoon redecking, furniture replacement, electronics installations, re-wiring, re-powering (engine replacement), etc. 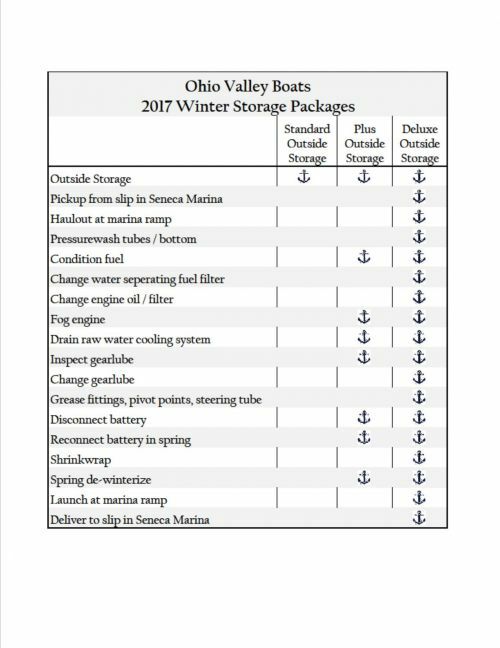 Let the crew at Ohio Valley Boats handle all of your winter storage needs!